Gary “Spike” O'Sullivan “in negotiations” for fight with Danny Jacobs! 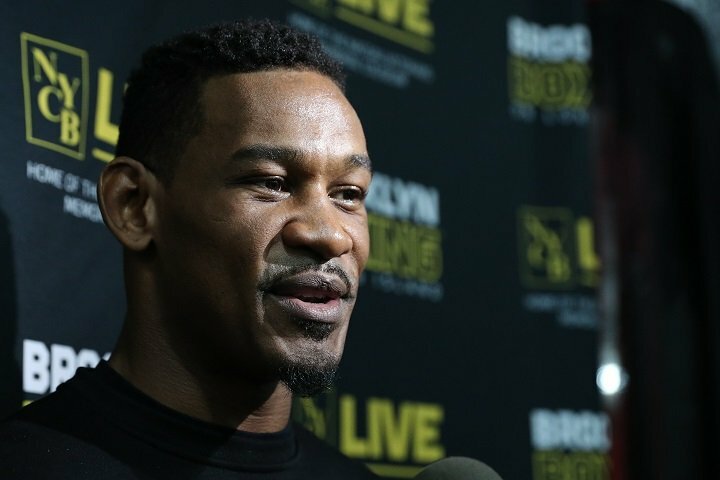 Gary “Spike” O’Sullivan “in negotiations” for fight with Danny Jacobs! In his last fight back in December, on the under-card of the Billy Joe Saunders Vs. David Lemieux fight, Ireland’s Gary “Spike” O’Sullivan picked up a most impressive win of his own. Stopping Antoine Douglas in the seventh round of a good fight, O’Sullivan set himself up for a bigger fight. And it is possible this next big fight could be against Danny Jacobs. According to a news piece via Irish Boxing, O’Sullivan and his team are currently “in negotiations” with Jacobs for a fight on HBO. Eddie Hearn now of course co-promotes “Miracle Man” Jacobs, and Team-O’Sullivan are in talks as we speak. O’Sullivan, perhaps best known to some fans for his loss to Chris Eubank Junior, has proven punching power, a good chin, toughness and a fan-friendly aggressive style. Jacobs and O’Sullivan just might put on a great fight; one that really catches fire. Jacobs won in commanding fashion last time out, when he widely decisioned Luis Arias, but no way was the fight anything you could call fan-friendly. Can O’Sullivan, arguably at his peak right now, make Jacobs fight and fight hard, and if so, who wins? Currently 29-2-1(17) O’Sullivan has also had his name mentioned as a possible title challenger, against WBO middleweight ruler Saunders (who has a points win over O’Sullivan on his record already), but the fight he and his team really want is one with Jacobs. Should he win that one if it indeed takes place, O’Sullivan would be in a great position for future, bigger fights. Jacobs wants to fight again this spring and it might be against the Irish warrior when he does see action again. You are here: Home / Boxing News / Gary “Spike” O’Sullivan “in negotiations” for fight with Danny Jacobs!